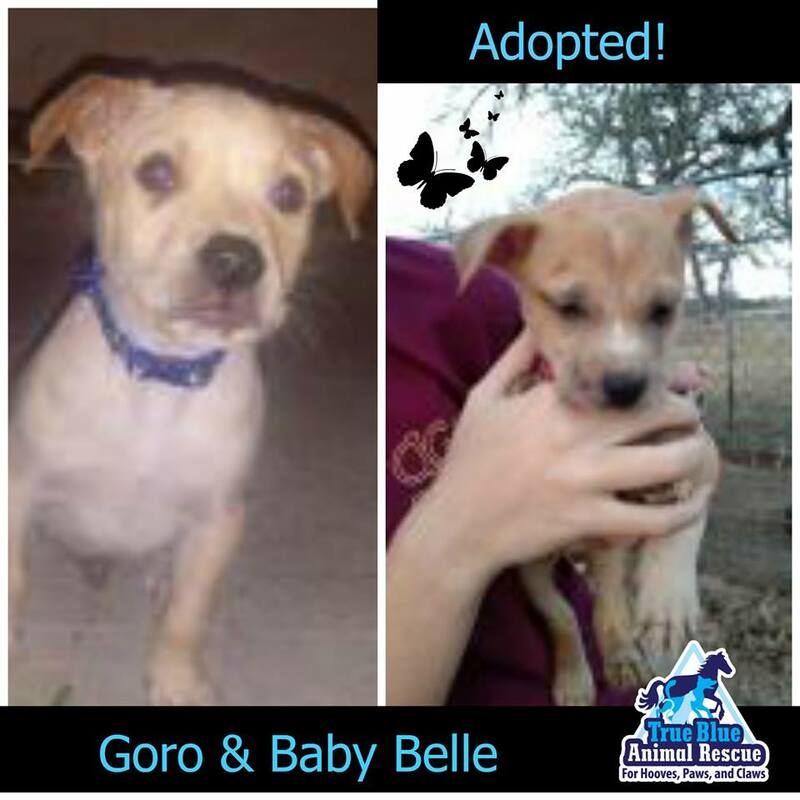 Two more of the 19 pups we took in last month found wonderful forever homes this week! Now there’s only one puppy left waiting for a special person to adopt her. Would you like to adopt? 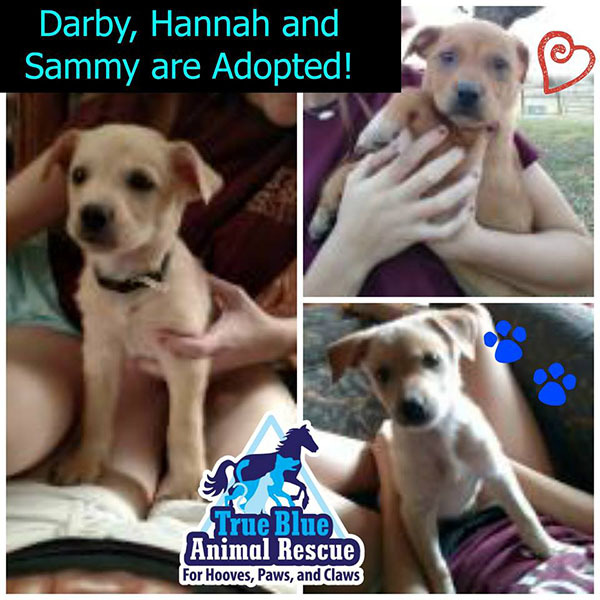 Look at our adoptable puppies, dogs, cats and horses that are available for adoption and email help@t-bar.org for more info. One of them is waiting for you! Three more of our puppies have gone to new homes! These are three of the pups that were abandoned on the side of the road and now they’re safe and loved. We have two more pups from this litter looking for new homes and others too! If you’d like to adopt, check out adoptable pets and then email help@t-bar.org to arrange to meet and adopt! 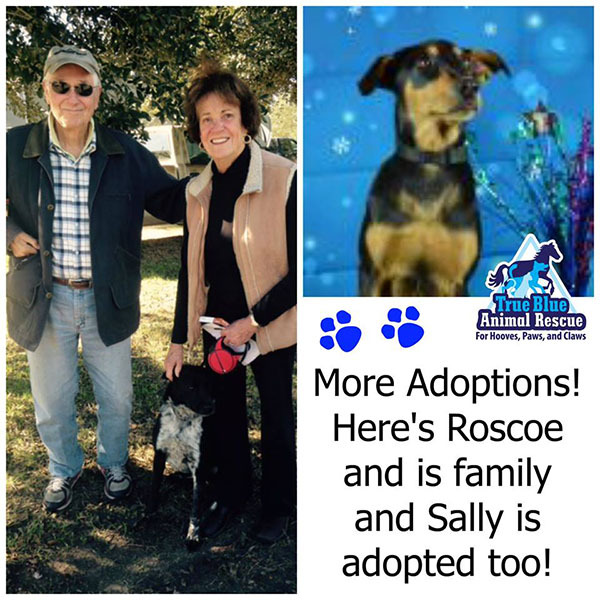 We couldn’t be happier to have Roscoe, who had been with us a year, and Sally, who we had for months, adopted into wonderful furever homes! Nothing makes us happier than to see these happy endings. If you’d like to adopt an adult dog, a puppy, a horse or a cat, check out our listings then email help@t-bar.org to arrange to meet and adopt! 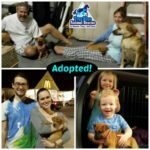 More puppies with their new families! 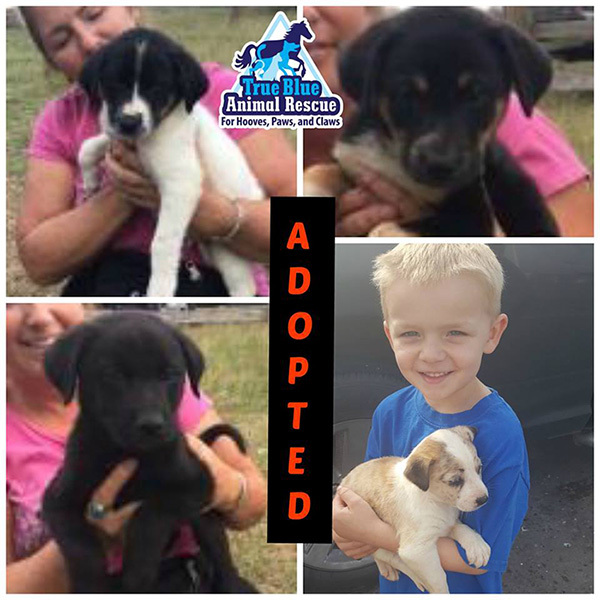 Ranger and Daisy are two more lucky puppies that went from being dumped on the side of the road to being loved and adored. Lucky puppies and lucky families. We still have six puppies that are looking for homes. 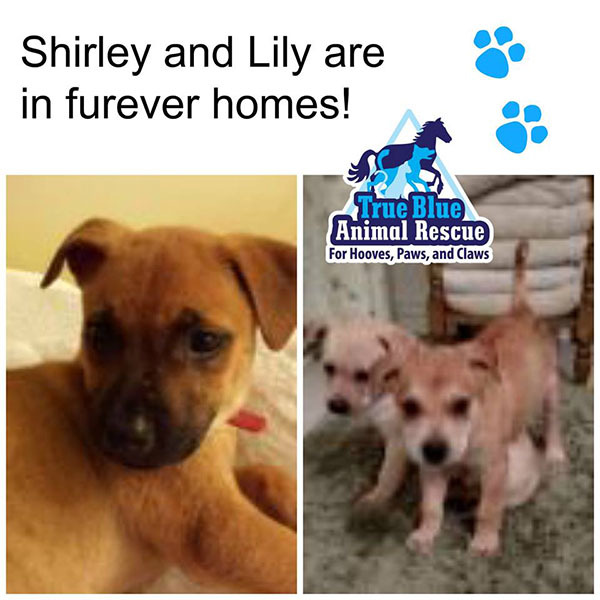 If you’d like to adopt a puppy into your family check out our pups, dogs, cats and horses and then email us at help@t-bar.org to schedule a meet and greet. 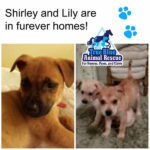 Two more adopted puppies! These lucky puppy’s dream came true when they got a family of their own. 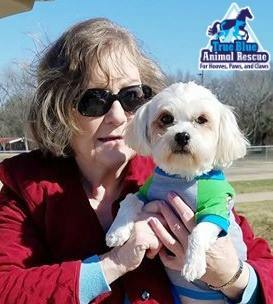 Here’s adopted dog, Pete, in his new home with his forever Mom. We love seeing adopted pets in their new home being loved and spoiled the way they deserve to be. 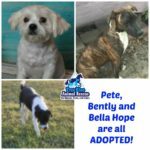 Did you adopt a pet from True Blue Animal Rescue? Email us a picture at help@t-bar.org so we can see how they are doing in your family. Sometimes our foster homes fall in love with their foster animal and end up adopting. That is what happened with these three lucky dogs! 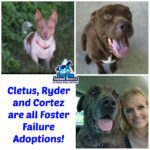 Each foster home just couldn’t let them go and decided to adopt. We do call that foster failure but it’s and adoption success at the same time. 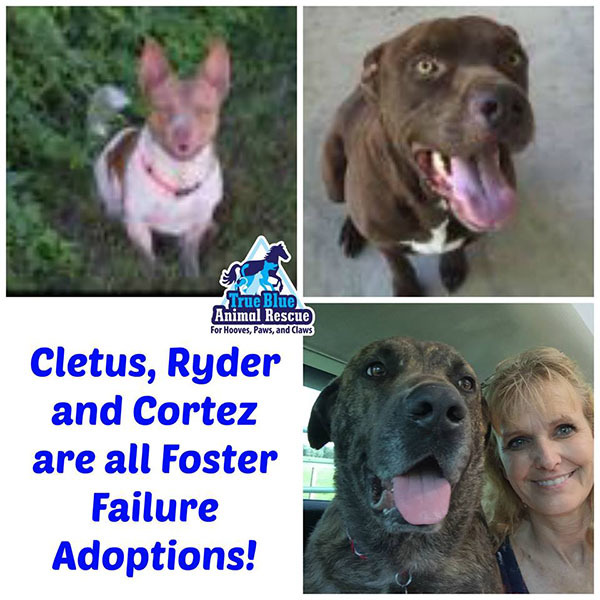 Thank you to these foster / adopters and hooray for Cletus, Ryder and Cortez. If you’d like to foster. 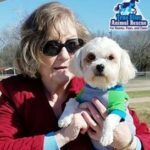 foster to adopt or adopt, email help@t-bar.org to let us know what you can do to help us rescue animals and end abuse, neglect and overpopulation. 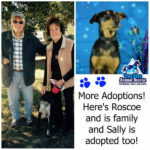 More of True Blue Animal Rescue dogs that have been adopted! We couldn’t be more happy for them and for the lucky families that adopted them. Adopt, don’t shop! Check out our other adoptable dogs, cats and horses! 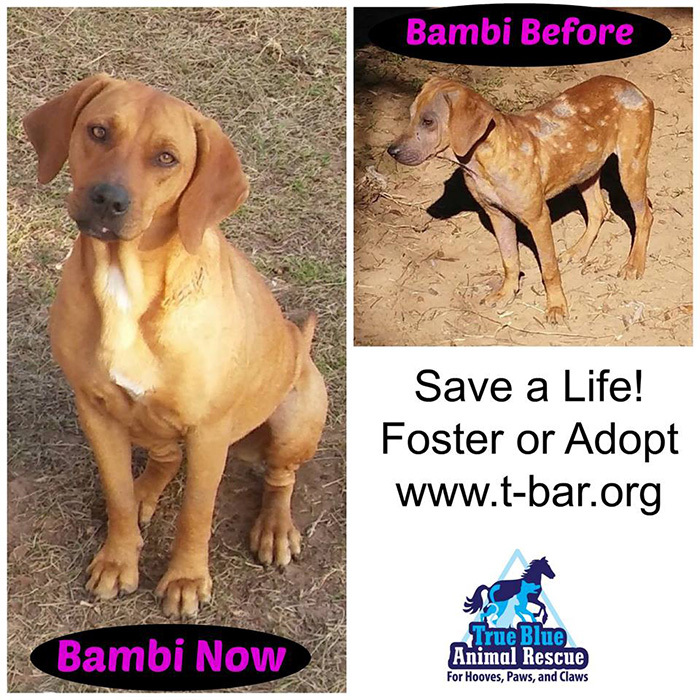 Bambi’s wonderful happy ending rescue story is one of our favorites. We just received her update picture and the transformation is so amazing we knew you’d all want to see. 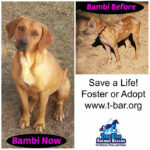 Bambi was saved because of rescuers and foster homes. A special think you to Kyrstin for being her foster home and foster failure adopter. It was your time and effort that made all the difference to this beautiful dog. 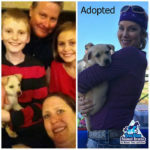 More of our happy ending puppy adoptions! We couldn’t be more happy about seeing our puppies go to great adopters. 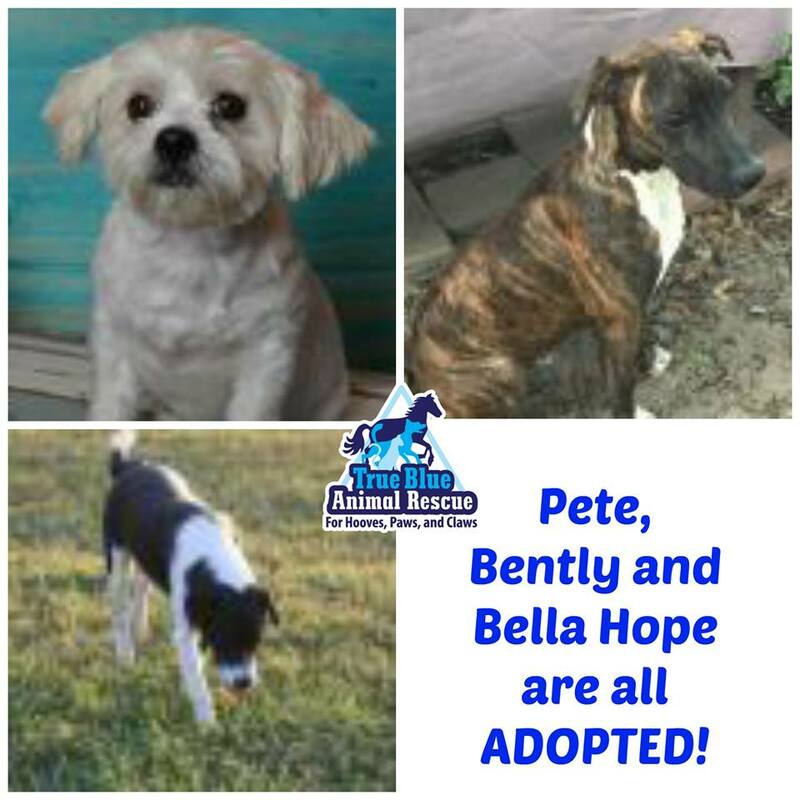 Check out our adoptable pets if you’d like to adopt a puppy or adult dog into your family.